It's hard to believe that Thanksgiving, 2013 is upon us. Where did the year go? We just received a phone call from a reader who has become a friend wishing us a Happy Thanksgiving. We hadn't talked since last Thanksgiving, so our conversation covered year's events and the many things we are thankful for: family, friends, work, etc. The list for the fortunate can be quite long. But that is the beauty of living in the United States. Even with all the political madness, we have opportunities that are unavailable in other countries and cultures. Our friend pointed out that her response to Thanksgiving 2012 was to go and find a volunteer opportunity that would enable her to give back and give thanks. When we congratulated her, she said not so fast. I am on my third charitable involvement. The first two didn't work out and this one is presenting some challenges. We let her know that this is a familiar refrain from many of the people we know. They wanted to give back but no one would let them! We suggested to our friend that she go back and re-read the section on volunteering in Don't Retire, REWIRE! There are some things about yourself that you must factor in before you select a charitable endeavor. 1. Whatever volunteer gig you select make sure it aligns with your own Drivers. Drivers are the emotional fulfillment your receive from the work and activities you perform. For example, If you have a leadership driver, you probably want visibility and a decision making role. Serving soup in a homeless shelter won't give you the driver fulfillment you seek. Get on a Board or Executive Committee instead. Both jobs are important. If you don't get the fulfillment you need chances are you will leave or be very unhappy. 2. Find a volunteer opportunity where you will be appreciated. If you end up doing volunteer work for people who are thoughtless or rude (yes, even they can be volunteers) you will quickly tire of the lack of respect and not receiving positive reinforcement or a simple thank you. 3. Select volunteer work that is geographically convenient. If you have to go too far to make a difference, you will quickly tire of the journey. God knows there are plenty of needs. So find one close by. When you are tired, the last thing you want to do is drive or take a bus for 45 minutes. These are just a few thoughts to consider. Thanksgiving is a great time to consider giving back. So if you aren't already volunteering, start. But know your drivers first! 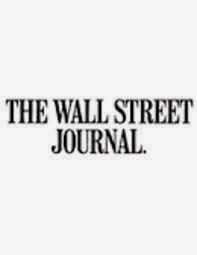 On October 28th The WSJ published one of its Journal Reports called PLANNING & LIVING THE NEW RETIREMENT. The section was delivered on Monday morning. What a great way to start the week. We couldn't put it down. It contained some of the most interesting articles about retirement such as In Search of a New Identity by Sydney Lagier and So-You-Think You're-Ready-for-Retirement QUIZ by Glenn Ruffenach. The article about living to 120 was very thought provoking and the Living the Good Life column had an interesting article about The Best Job in Retirement or Not. Too often we see articles about retirement featuring beach chairs, an umbrella and drinks with small parasols in them. It leads people to the wrong assumption that retirement is one big vacation. It isn't. It is more likely a large block of time divided by ages and stages and it may very well include new work either volunteer or paid, going back to school, starting a new business, trying new things, traveling, and even continuous learning outside the classroom. Some will be in retirement longer than they worked. It's called longevity and that is the bonus our generation has gotten. Gerontologists predict that over 3 million Baby Boomers will live to be 100+. Some Boomers will move out of the country, learn a new language and go on a journey of discovery. International Living magazine is filled with articles about the challenges and joys of living in a place that probably has a significantly lower cost of living. Making retirement funds stretch is a new form of exercise. Reading about the possibilities that the future represents is stimulating, thought provoking, and eye opening. It isn't scary. What's scary is not reading about what the future may hold and planning for it.